As part of a USDA Organic Research and Extension Initiative funded grant on organic cucurbit (squash, melon, cucumber, gourds, etc.) management we are conducting a citizen science project to survey bees in cucurbit flowers. Our goal is to better understand cucurbit pollination, in particular we are interested in the role of squash bees and the impact of farm management practices on them. 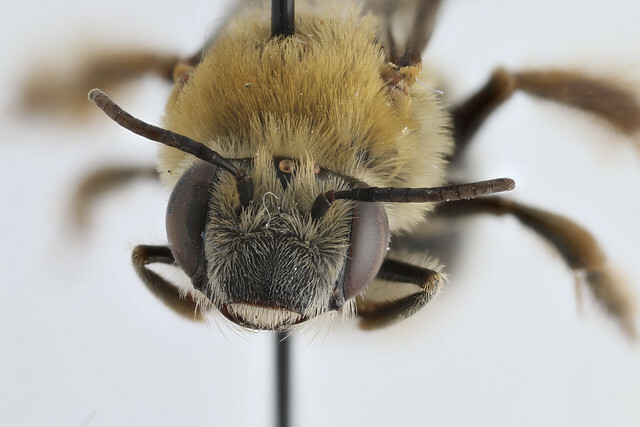 Instructions for how to conduct the bee survey are included in the survey tools. We have developed 3 survey formats that are available for download at the links provided below. Please choose the survey format that best fits you! To fill out the survey, you can install an app on your smartphone or fill out the survey on your computer or print a paper copy. We also have links below to a recorded webinar that was presented to our Master Gardener Citizen Scientists about our project, bee identification guide, and information on how to use our surveys. Please visit the links below for more information.